There are 3 cat videos tagged with fetch. 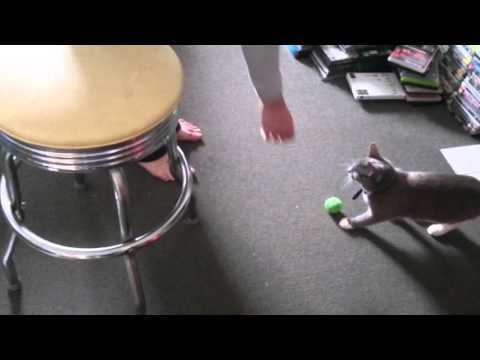 If fetch were an animal Olympic sport, this cat could definitely compete! 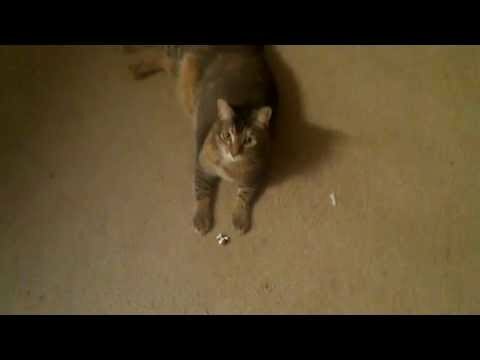 People who say that dogs are smarter than cats because you can teach them tricks clearly haven't seen this video (and countless others) of cats playing fetch with their owners! 6-month-old kitten Tifa is a little confused about what species she is! 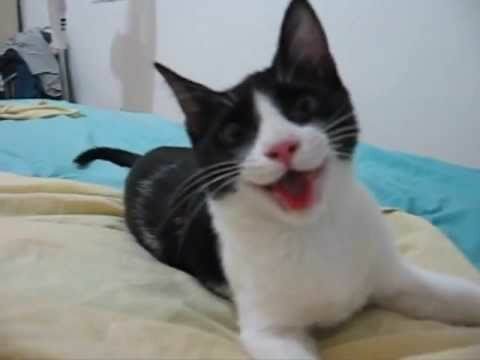 The adorable black and white kitty plays fetch and pants just like a dog.